Following completion of repaint, this vehicle has transferred from Riverside Depot to Chester-le-Street. 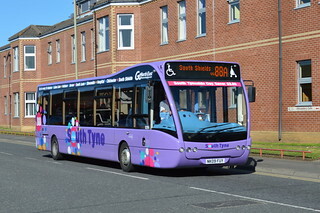 Having previously carried "South Tyne" branding, this vehicle has now been repainted into Go North East's corporate livery. 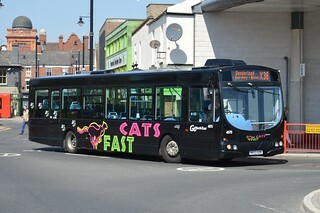 This example features the tagline "Stay Connected | Many of our buses have free WiFi on board". 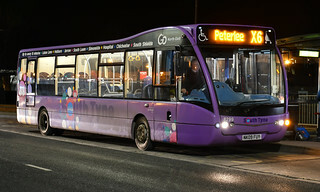 This vehicle has been withdrawn from service at Peterlee Depot, having temporarily been reinstated. 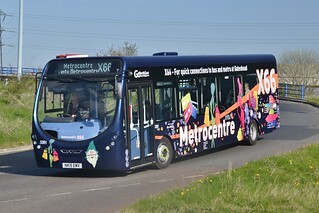 In order to alleviate vehicle shortages, having not yet been repainted following temporary withdrawal, this vehicle has temporarily been reinstated at Peterlee Depot. From 28th January 2018, Go North East are making changes to a number of services to improve reliability and to allow new travel opportunities. As part of these service changes, "South Tyne" services 88/88A have been withdrawn and replaced by revised service 9 and new "Crusader" service 26. 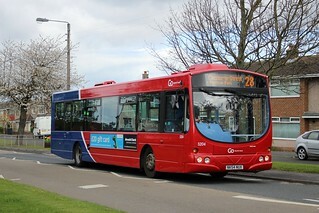 As such, this vehicle has been temporarily withdrawn from service at Riverside Depot, to allow completion of repaint prior to cascade to another route. With the operation of "South Tyne" services 88/88A transferring to Riverside Depot as part of service changes effective Sunday 17th April 2016, this vehicle has transferred from Washington Depot to Riverside. 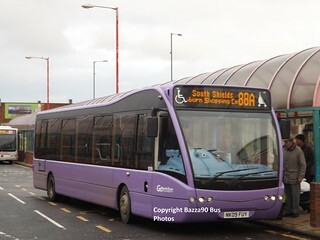 Following transfer to Washington Depot to operate "South Tyne" services 88/88A, this vehicle has been repainted into a plain lilac base livery. Following the entry into service of new Wright Streetlite vehicles on "Saltwell Park" services 53/54, this vehicle has transferred from Gateshead Depot to Washington. 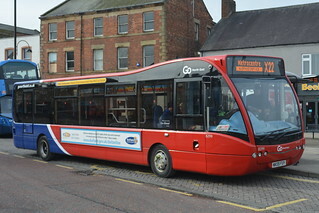 Although initially suggested that this vehicle will be used to upgrade "Washington Street Shuttle" services M2/M3; it will instead be used to upgrade "South Tyne" services 88/88A with the DAF SB120/Wright Cadet vehicles currently allocated to services 88/88A re-allocated to services M2/M3 to allow the Mini Pointer Darts allocated to these services to be withdrawn, hence providing an upgrade in capacity on these services. Ahead of the entry into service of new Wright Streetlite vehicles on "Saltwell Park" services 53/54 and this vehicle's consequent cascade from Gateshead Depot, this vehicle has lost its branding for "Saltwell Park" services 53/54. This vehicle has entered service at Gateshead Depot on "Saltwell Park" services 53/54. 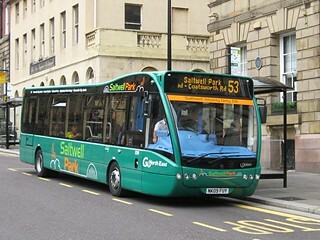 Ahead of its entry into service; this vehicle has received "Saltwell Park" branding, with sub-branding for services 53/54. 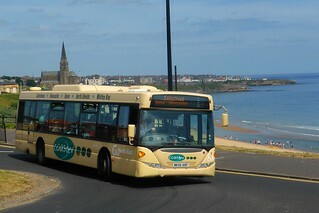 This vehicle, which carries a plain green base livery, has arrived into the Go North East fleet, and is currently being prepared for service at Saltmeadows Road Depot. It is of 'Gold Standard' specification; featuring full CCTV coverage and recording, information screens, and comfortable seats for all including priority seating with a wheelchair bay for elderly and disabled customers.